We offer several CPR and First Aid certifications through the American Heart Association. We will visit your organization on site to provide tailored certification. Most of our classes can be done in a single morning or afternoon. 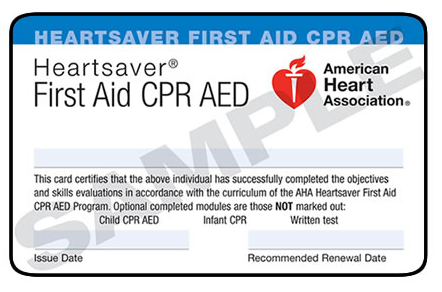 On successful completion, course completion cards are issued through the American Heart Association.